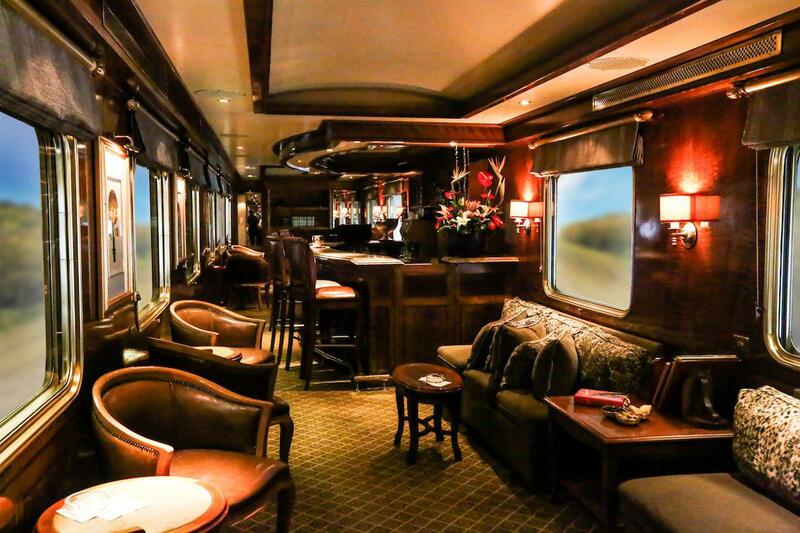 The Blue Train is a South African icon, synonymous with hospitality and luxury since 1946. Kings and Presidents have travelled on this magnificent Pullman, experience a world of elegance and romance in traditional surroundings. This 2-day train journey is perfect for anyone looking for the ultimate inspirational experience or those who simply prefer the timeless quality of train travel! The arrival experience at the lounge will be amazing- you can now enjoy live music, champagne & spirits, gorgeous cuisine, manicures & pedicures, an art curator and so much more whilst you wait to depart. This is great if you wish to arrive on an early flight into Joburg and want to head straight on the train as you can arrive here as early as you want. The train will depart later (6:30 PM from Pretoria or 4:00 PM from Cape Town) and you will spend 2 lovely nights on the train now, offering a much more relaxed, unrushed experience and providing the luxury of time. The excursion at Kimberly will now be longer (2 1/2 hours), allowing you as a traveler much more time to enjoy on the ground. The extended window of travel time allows for more flexibility en route and will tighten up timing and improve on-time arrivals. 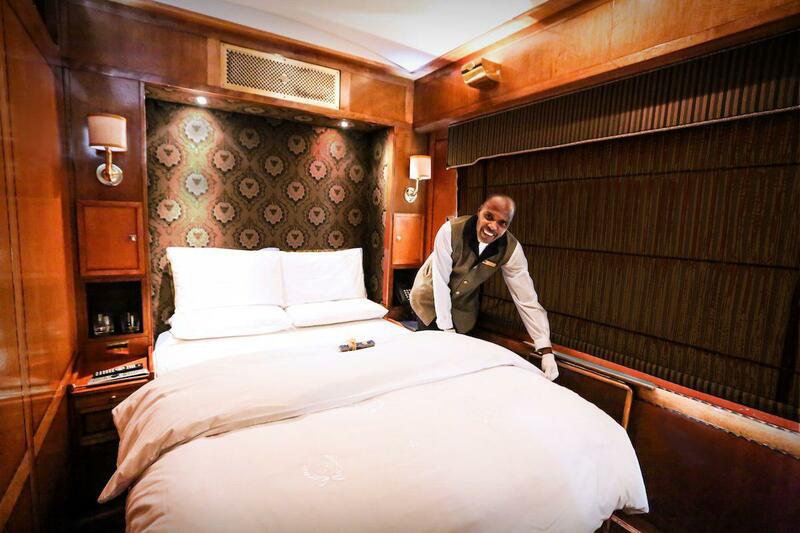 It's a moving 5 star hotel on wheels that pairs so beautifully with nearly any South Africa journey and is truly the most stylish way to travel between Pretoria & Cape Town. The 1,000 mile adventure begins at Cape Town or Pretoria station, with a class of bubbly & canapés or coffee & pastries prior to departure. Spend your time relaxing in the privacy of your private suite being pampered by your private butler. Enjoy the company of fellow travellers in one of the lounges, sampling South African snacks and fine wines throughout the day. For souvenirs check out the onboard boutique or consider a rather more expensive diamond during the Southbound excursion to Kimberley Diamond Mine Museum! Be transported to a by-gone Victorian Era when you visit Matjiesfontein on the Northbound excursion. Indulge in the delicacies of afternoon tea served in your suite or in the lounge. 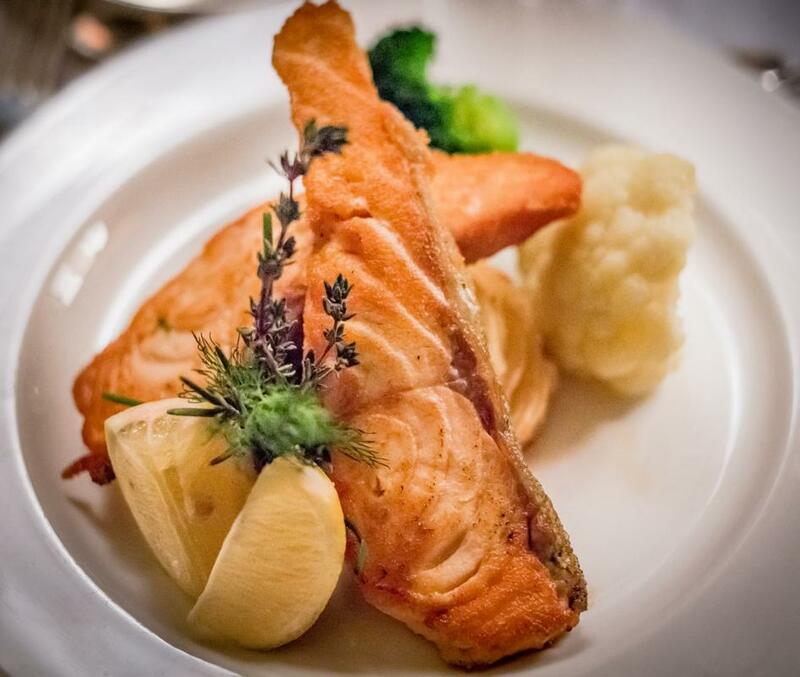 Choose and early or late sitting for the chef's creative and legendary lunch and dinner cuisine. Have your butler press your shirt or dress in readiness for the evening (there is a strict jacket & tie dress code for gentlemen). Sample a 'True Blue' Blue Train cocktail before dinner. Dinner promises to be a memorable and elegant occasion - the best South Africa has to offer - accompanied by award winning wines, followed by cognac and cigars in the Smoking lounge. The route from Pretoria to Cape Town runs every Monday and Wednesday starting from January 07th, 2019. The route from Cape Town to Pretoria runs every Thursday and Saturday starting from January 10th, 2019. There are special itineraries from Pretoria to Hoedspruit on Friday March 08th, Friday July 19th, and Friday September 27th. 2019 The route from Hoedspruit to Pretoria runs on Saturday March 09th, Saturday July 20th, and Saturday September 28th of 2019. 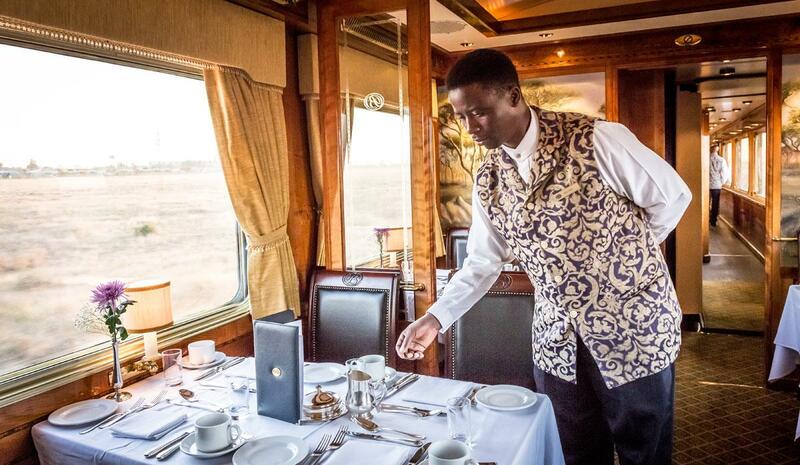 If you have been dreaming of travelling Africa in style then the Blue Train would be a perfect fit. Speak to one of our Travel Specialists to create your custom South African Adventure today. Call us at 604-736-7447 or click on the contact us button.